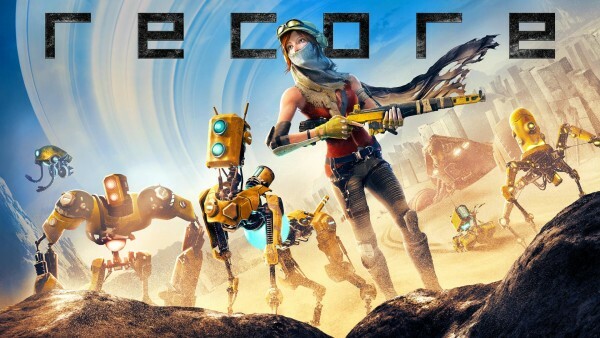 Recore: Definitive Edition, Zoo Tycoon: Ultimate Animal Collection, Super Lucky’s Tale and more Microsoft Studios titles are heading to Steam. THQ Nordic was set to announce at gamescom 2018 this week it was bringing five Microsoft Studios titles to Steam and to retail. The news broke ahead of time by Worth Playing, but it should also be noted the publisher has Recore up on its website. Recore: Definitive Edition is one of five to be announced by the company. The action-adventure title developed by Keiji Inafune’s Comcept and Armature Studio was published by Microsoft in 2016 for PC and Xbox One. It has been upscaled for higher resolutions with HDR skies and lighting. The Definitive Edition includes the new Eye of Obsidian adventure which sees Corebot “Violet” heading off to the Starving Sea. The area is a previously unexplored region of Far Eden where “ancient enemies plot their revenge” on Joule and all humans. This edition includes a T8-NK (Tank) Corebot frame which can be used to cross quicksand and explore Far Eden with new power and speed. Dynamic sandstorms will be encountered in the Shifting Sands region which is full of enemies and lots of loot. Players will also explore 10 new dungeons and two new overworld areas. Three new weapon modes for Joule’s Energy Rifle have also been added, along with new bosses and Tank challenges. A limited edition will also be made available. It includes the aforementioned content along with the official soundtrack CD, A3 Poster (Double-Sided), and an artbook. Super Lucky’s Tale was originally released as an exclusive before making its way last year to Xbox One. It was also released with enhancements for Xbox One X. Zoo Tycoon: Ultimate Animal Collection is being remastered for PC by THQ Nordic. It will require Windows 10 v10.0.16299 or higher for online multiplayer through Xbox Live. Disneyland Adventures and Rush: A Disney-Pixar Adventure are the other two titles coming to Steam and retail from THQ Nordic.